Today, the BBC put out a press release stating that it was making "a new BBC Two drama based on Grand Theft Auto." Make that, a poorly worded press release. Because this isn't the GTA drama you're hoping for. That being said, it still sounds promising. In the original statement, details about the show are scant, with the BBC calling GTA "one of the most extraordinary creative and controversial success stories of our time." No arguments there! Rockstar has been reluctant to bring Grand Theft Auto to the big screen, and the small screen isn't any different. 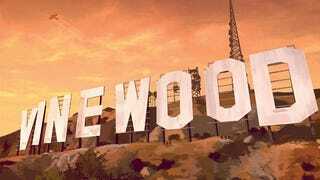 Why Hasn&apos;t Rockstar Made A Grand Theft Auto Movie Yet? As Guy Cocker, who is developing the show, explained on Twitter (via Engadget), this is a drama about the making of Grand Theft Auto. Cocker confirmed to Kotaku that the show will follow the Grand Theft Auto development saga at DMA Design, which is now Rockstar North. This isn't exactly what I was hoping for when I read the original release. Still, you don't see many shows about game development, so in that regards, it sounds interesting. So yeah, I'd probably watch it. Good way to bide your time while waiting for a live-action GTA crime drama.